The 15th of July was a special day. And no, we’re not talking about the National Ice Cream Day (as much as we love ice cream). On the 15th of July, history repeated itself after a 20-years gap: France lifted their second World Cup with a victory over Croatia in a thrilling final; the “Bleus” and football crowds overwhelmed with joy gathered to celebrate around the Eiffel Tower, the Champs-Elysées, and all over the nation. But France and Croatia weren’t the only teams competing; brands all over the world had their own competitions over customers’ attention and engagement on social media. Top brands from different industries stepped up their content and social media game to take advantage of the biggest event of the year to boost their brand’s visibility. So, who won the battle of the brands? Which brands “scored” during the World Cup 2018? Although Adidas is and has been the official FIFA sponsor since 1970, Nike successfully ambushed this year’s World Cup. According to a study commissioned by Campaign, over 50 % of consumers thought Nike was the official tournament sponsor. 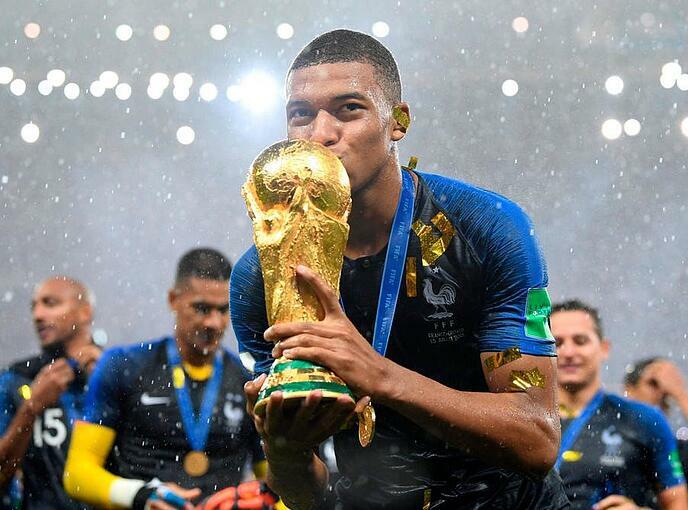 The World Cup 2018 witnessed one of the most intense competition between Nike and Adidas with two very different strategies: while Nike sponsored the Croatian and French teams and focused on campaigns with individual football stars like Mbappé, Adidas sponsored the FIFA World Cup and focused on branding-footballs and logo placement around the stadium. As a sponsor of both the French and Croatian teams, Nike was definitely one of the main “players” in the final match. As soon as the match ended and the “Bleus” were declared the winners of the World Cup 2018, Nike posted a video on its Twitter account. The post hinted that the two-star jersey of the French Team was already on sale. Another post following the first one features the young and successful Mbappé wearing the two-star jersey. Even the members of the French team had the new jersey on during the celebration ceremony. In fact, even before the match, Nike had already printed 20,000 Jerseys with two stars. Some people found Nike’s move risky, but the risk totally paid off. Nike had an effective marketing campaign. They #TheyJustDoIt. And they did it quick. They also did it smart. On Sunday evening, Beyonce and Jay Z diffused the match live before their concert at the Stade de France. Once the match ended, during the concert, the Carters unveiled their new two-stars jersey under their coat…which, you can guess, stirred euphoria amongst the fans, and sparked plenty of social media discussions. Beyonce is thus linked to conversations about Nike on social media. 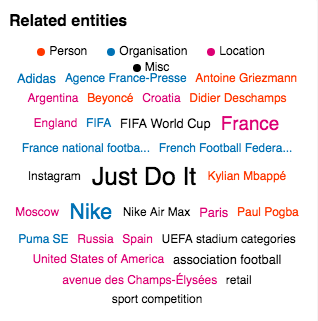 In France, between the 15th and the 16th of July, Beyonce appeared on several posts that mention Nike and its slogan “Just Do It”. Once again, Nike partnered with well-known figures to expand its brand, and it paid off. These events and pictures were shared all around the world on social media. Nike’s perfectly-timed marketing went viral and generated a ton of buzz for the brand. As Siegel says, in the game of marketing, Nike always wins. In the end, Adidas succeeded to beat Nike on the day of the final. As our graphics shows, Adidas was mentioned 111k times on social media, while Nike reached 95,4k. Close enough. McDonald's cheered the French team hand in hand with online supporters. Its UK Twitter account posted a series of mini videos showing a bunch of friends reacting to each high point of the match. For instance, when Mbappé scored the fourth goal of the French team. But only a few actually answered the question. Others, for example, complained about the food, which McDonald’s did not answer. The brand’s marketing strategy relied both on the ability to react quickly to events. But McDonald’s had another trick up its sleeve-participating in 2018 FIFA World Cup viewing parties all around the world. According to NBC, McDonald’s provided breakfast during Fox’s telecast of the final in downtown Los Angeles. The event was promoted and shared on different platforms, like Instagram. Meanwhile, in Indonesia (Ngaliyan, to be precise), people were watching the match in a McDonald’s restaurant and shared the event on social media. On top of that, McDonald’s also created a limited edition of the World Cup 2018 themed Coca Cola cup. The cup has been shared by many everywhere, in different languages. 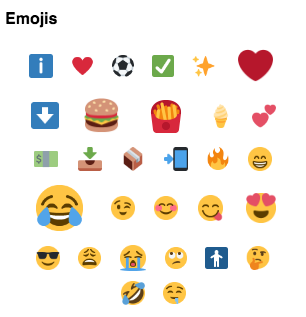 Thanks to this all-round marketing strategy offline and online, McDonald’s was linked to the soccer ball emoji among other emojis on posts during the World Cup 2018. 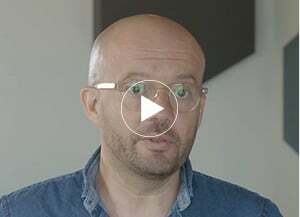 McDonald’s succeeded in sparkling online conversations among their audience to help associate their brand to the World Cup thus increasing their visibility on social media during one of the biggest social events of the year. EA Sports is another brand that got a lot of buzz on social media during the World Cup 2018. Apart from the fact that it’s the most soccer-related brand on our list, EA made a point with its predictions for the winners of the soccer competition. 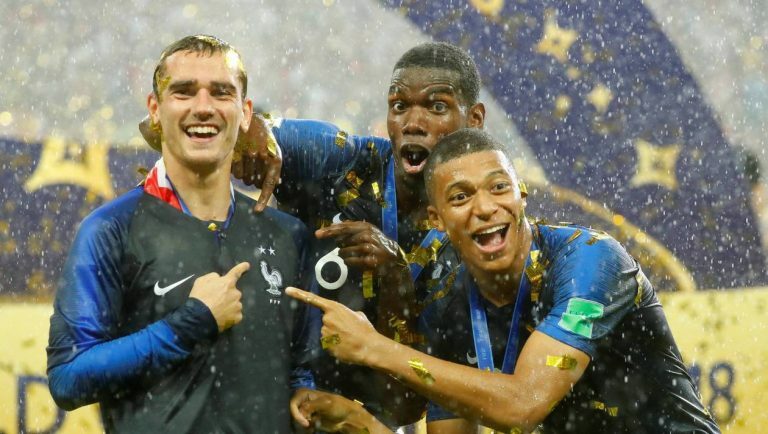 They predicted - with AI - on that France would win the World Cup, back on 28th May. The Twitter account of EA Sports reminded its followers about its own prognostics on the day of the final. The whole World Cup event was a boon for the brand. EA’s main strategy was to illustrate every high point of the final with animations of its video game. The Twitter account of EA Sports basically live-commented the whole match, and illustrated each of its comments with a short video from the video game. These highly reactive posts from EA Sports generated tons of retweets and likes on social media for the brand. EA Sports was much awaited about the World Cup 2018 by its fans; and its innovative, funny ideas did not disappoint its followers. Tim Cook’s company showed great excitement about the final. On the 14th, Apple overhauled its French and Croatian homepages with a short 3-second video. 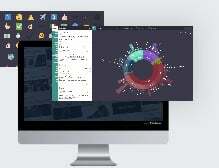 Its website rarely displays such designs. The idea made a splash as it was shared all over social media, extending beyond the French sphere. 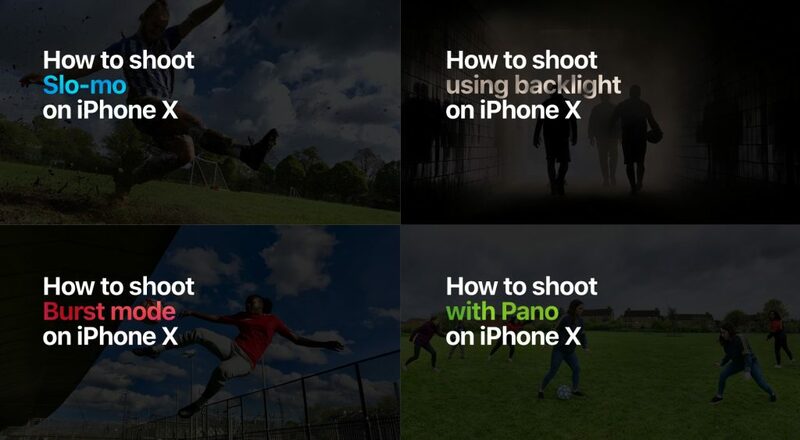 A month before, on 14th of June, Apple had already released a soccer-themed video on YouTube, titled “How to shoot Soccer on iPhone X - Apple”, it’s made of several shortcuts showing people playing soccer on various fields. At the end of it, an URL is displayed. It leads to a special page: https://www.apple.com/iphone/photography-how-to/. On it, several tutorials about “How to shoot” with different option such as “Slow-mo” or “Burst mode”. The campaign is obviously based on the double meaning of the word “shoot”: both playing soccer and shooting photos. Since then, they generated 766 more posts. The “how to shoot” campaign of Apple was mentioned in a total of 1,026 posts on social media. Apple had already launched a similar campaign for the iPhone 7: “How to shoot on iPhone 7”; this time, the brand decided to combine the “How To’s” campaign with the World Cup event. Apple’s innovative marketing strategy based on short videos attracted iPhone users and soccer fans alike, and won them a place on our list. 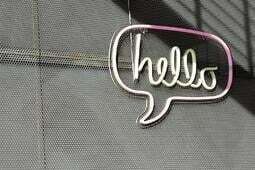 Cherry on top, some patisserie brands like “Maître Choux” pounced on the World Cup craze to promote their product. “Maître Choux” is a patisserie located in London, but remains above all an ambassador of French cuisine. 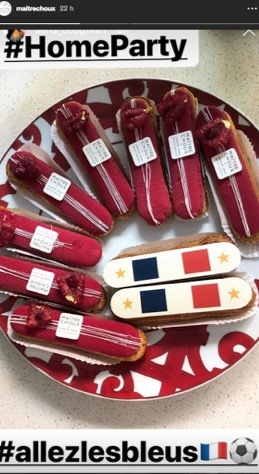 Even before France’s victory was announced, the brand introduced special chocolate eclairs with French flags on them to support the French team. A nice way to kill two birds within one stone, as it was also Bastille day when the French pastries were posted on Instagram. A few hours later, to celebrate the victory of France, the brand jumped on the opportunity to show off their products in a beautiful plate with the same French flag-glazed chocolate eclairs. A French touch is never too much to celebrate the champions of the World Cup! Capri Sun is probably the last brand that would come to mind when we talk about a brand showdown on social media during the World Cup 2018. But, well, here it is! The German juice brand tweeted twice during the match, using the famous #FRACRO hashtag. Both posts were GIFS: one at the beginning of the match to cheer the French team, rather fun and creative: a Capri Sun rolling towards the net of the sports goal like a soccer ball. The other one was posted at the end, once the French were declared winners of the World Cup 2018. The post put forward their products as part of the celebration for every supporter. It partly worked, as the expression “Capri Sun” almost reached 430 posts on the 15th*. But the main part of the posts were due to a tweet by “Shen the Bird”. The post was a joke about Capri Sun which was retweeted almost 400 times. 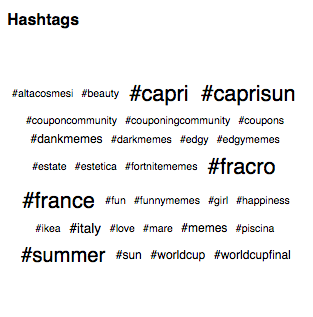 On this hashtag cloud from 15th July related to the word “Capri Sun”, #worldcup was only mentioned three times; same for the hashtag #worldcupfinal. Why did we include Capri Sun on our list you ask? Well, although their posts on the World Cup generated less reach than other brands like Nike, we’d like to highlight the fact that they only have 5K followers on Twitter. Compared to Nike’s 7.36million followers, Capri Sun managed to generate - in proportion - an impressive amount of buzz on a smaller scale thanks to their creative efforts. The World Cup 2018 final dominated conversations on social media. 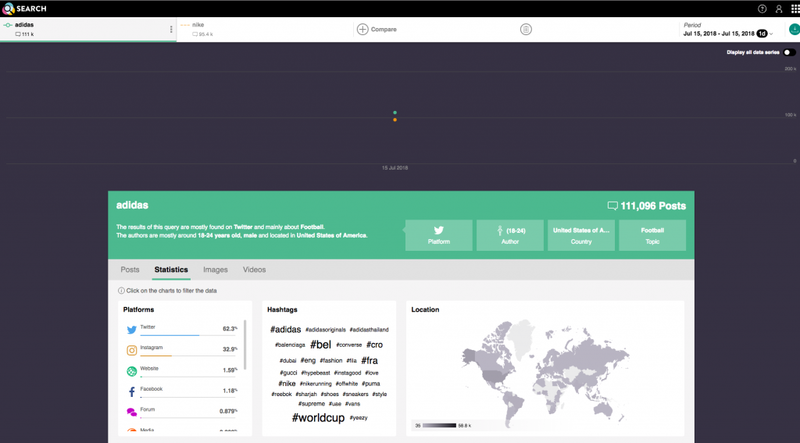 They were more than 400 000 posts using the hashtag #FRACRO*, and brands had to compete hard to stand out among all these posts. Our ranking here is focused not only on the quantity but also on the quality of brand content on social media during the World Cup - creativity counts as much as posts frequency or engagement volume. Numerous brands from different industries gambled on the World Cup trend. They all did their best to provide their audience with creative and interactive content. Some of them were extremely active on social media as they commented on every high point of the match; others decided to put the French flag forward in pastries or on their website. 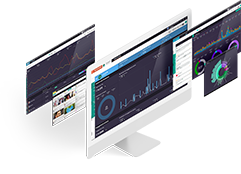 During World Cup 2018, content marketing on social media highly favored video content, be them short videos or GIFs. Which brand do you think scored during the World Cup 2018? What was your favorite marketing campaign?